Acupuncture continuing education credit at HealthCMi is valid for state CEUs, NCCAOM PDAs, and many other pre-approved certificates. This covers the United States, Canada, New Zealand, Australia, and more. There are also several specialty certifications including ABORM, California nurses, and veterinary medicine. Check our license renewal web page to learn more. 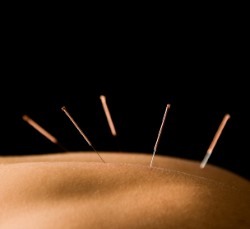 HealthCMi acupuncture continuing education online courses cover a wide variety of treatment modalities. 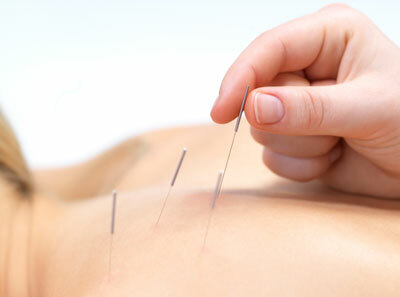 Acupuncture, moxibustion, herbal medicine, dietetics, and biomedicine are covered in many courses. Online courses may also include Tai Chi, Qi Gong, Tui Na, and other therapeutic modalities. Topics range from the treatment of pain to internal medicine. Take a look at course offerings to find topics that fit your needs and interests. Certifications for acupuncture continuing education license renewal takes many forms and HealthCMi provides courses to meet those requirements. 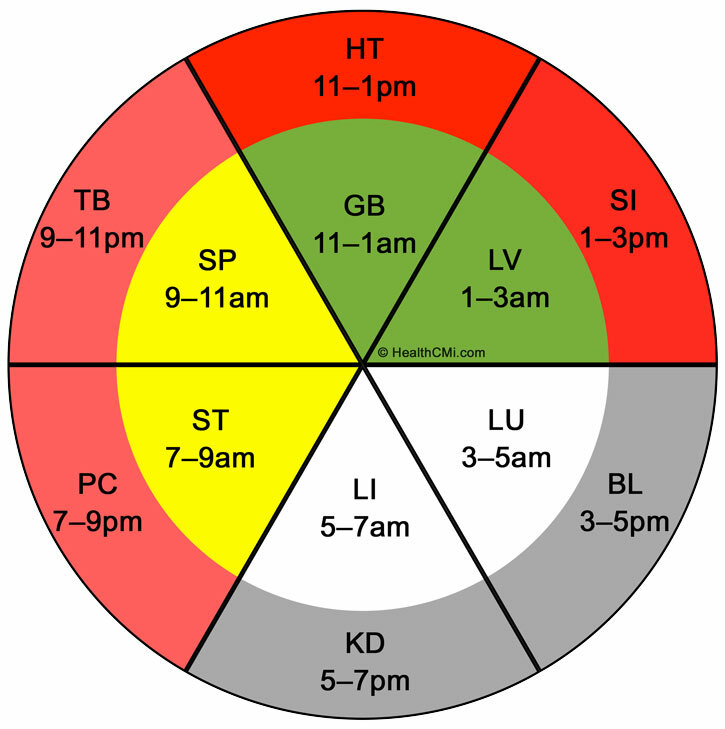 For example, acupuncturists in California require category 1 courses and HealthCMi offers many courses meeting this criteria. 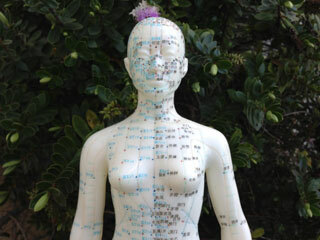 Acupuncturists in Massachusetts require specific acupuncture and herbal medicine category courses. HealthCMi meets those needs in a variety of online courses. NCCAOM requirements include both safety and ethics category courses. Again, HealthCMi has courses that meet those needs. 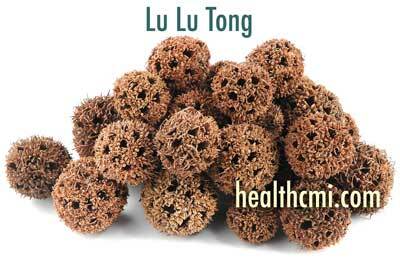 Acupuncture and Chinese herbal medicine combine well with biomedicine. Although distinctly different systems, they often combine to produce superior clinical results. Two common examples are the application of acupuncture to post-surgical sites to prevent invasive infections and the spraying of herbal medicine onto the cervix to reverse cervical dysplasia. Bone plugs, hip replacements and other surgical installations & procedures run the risk of introducing microbes into the system. In the 19th century, Joseph Lister pioneered the importance of sterile surgical equipment and the cleaning of wounds with carbolic acid in an effort to reduce post-operative infections. Fast-forward to today’s operatories and advanced antibiotics, surgery has become immensely safer. Nonetheless, the risk of infection persists. Patients with compromised health conditions such as immunosuppression and diabetes are particularly vulnerable. Moreover, areas of poor blood circulation are often sites of unwanted microbes. Acupuncture is a useful treatment modality for athletes. The HealthCMi news department covers current research on the topic of specific acupuncture treatments for injury prevention and recovery. An important focus is to increase athletic performance, stop pain, improve range of motion, and speed recuperation times. 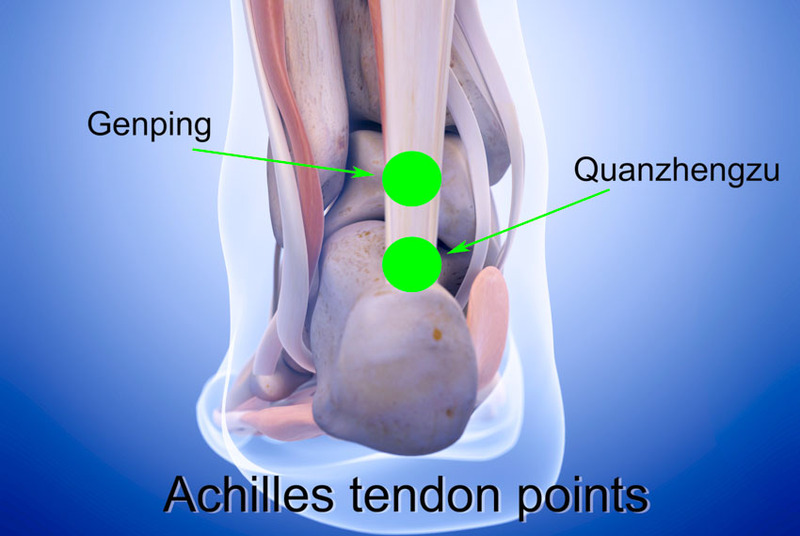 In this article, a few acupuncture points are covered that are useful for the treatment of knee, achilles tendon, lower back, and ankle disorders. 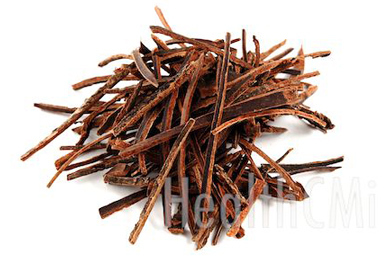 External pastes for the treatment of acne complement internal herbal medicine and acupuncture. A great external paste for the treatment of acne is comprised of Qing Dai (Indigo Naturalis) mixed with either fresh bitter melon or cucumber juice. This is a handy external paste that has been presented in HealthCMi dietetics and dermatology webinars and online courses for acupuncture CEU & PDA continuing education credit. There are a few new changes to acupuncture continuing education requirements both nationally and within individual states. Nationally, the NCCAOM has added a new requirement to distance online learning courses. This is the inclusion of a worksheet that must be submitted prior to taking a quiz. This does not apply to live webinars and in-person conferences. The worksheet applies acupuncture continuing education online courses that involve reading PDFs, watching videos, listening to audio files and working through computerized learning instruments. For these distance learning courses, the worksheet is essentially a pre-quiz to ensure that the learner is grasping and retaining the material presented. It is an added step in the educational pedagogy intended to enhance the overall learning experience. 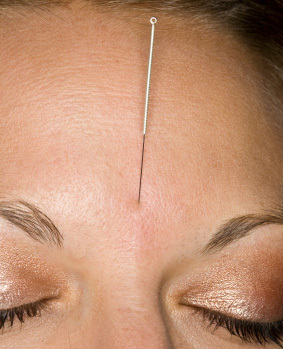 There are numerous manual acupuncture techniques. Some of them can be very useful in the clinic. Yet, there are definite issues when applying techniques such as T-shaped needling, setting the mountain on fire, penetrating heaven’s coolness and seated applications of Luozhen and Yaotongxue. Let’s go over some of these issues and benefits in detail. A combination of acupuncture and herbal medicine is highly effective in ameliorating manic depression, bipolar disorder, panic attacks, PTSD (post-traumatic stress syndrome, palpitations, irritability, vertigo, restlessness, seizures, mania, depression and general anxiety. A synergistic effect exists between the treatment modalities wherein the acupuncture treatment exerts an immediate action on the channels thereby allowing for a more rapid absorption and effective action for the herbal medicines. Acupuncture and herbal medicine also serve as complementary adjunct therapies to conventional pharmaceutical approaches and therapies. In these cases, acupuncture and herbal medicine help to prevent toxic reactions to medications and other unwanted side-effects. News update: New CT scan technology reveals acupuncture points. Click the following to read the story: Acupuncture Point Discovery. Toxicity in the skin leads to conditions such as eczema, hives, rashes and acne. A few changes in the diet help to clear the skin. According to Chinese Medicine principles, skin swellings are often due to damp-heat toxins, Stomach heat, heat in the Blood, Liver heat, Qi stagnation, wind-heat, Blood deficiency and Yin deficiency. Although this is not a complete list of differential diagnostics associated with skin conditions, it represents a vast majority of cases in a typical clinical presentation at an acupuncture office. Today, I’d like to review simple recipes that benefit the skin. Acupuncture, herbal medicine, the movements arts (Tai Chi, Qi Gong, meditation…), bone medicine and dietetics are five important branches of Traditional Chinese Medicine (TCM). Today, I wanted to talk a little about dietetics. At HealthCMi, Prof. Jeffrey Pang, L.Ac. and I have an ongoing live webinar dietetics lecture series for acupuncture CEUs and also an instant download-able course in dietetics. Soon, we will release part two of the instant download-able acupuncture CEU course and it will contain favorite healing recipes. Palpitations combined with insomnia are a common complaint treated at an acupuncture clinic. There is often Heart Qi deficiency and Blood deficiency underlying this condition. When these differential diagnostics are present, acupuncture combined with herbal medicine is more effective than either treatment modality alone. Arrhythmias often occur in this situation and Chinese medicine can effectively eliminate or reduce the palpitations, insomnia and heart beat irregularities. Often, the arrhythmias are significantly easier to resolve when they are irregularly irregular. In other words, when there is no distinct pattern to the irregular heart beat it is a more simple matter to resolve. The development for protocols within the acupuncture profession for emergency medical interventions is a necessary component for successful clinical outcomes in the hospital setting. 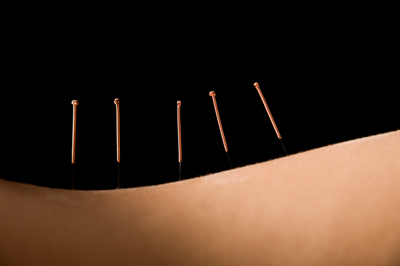 At the moment, most licensed acupuncturists have a hands-off approach to emergency interventions for several reasons. The first and most obvious reason is that there are legal barriers to using acupuncture in emergency situations. The second is that there is no mechanism to insert the services of a licensed acupuncturist within existing emergency procedures. I’d like to highlight one important example wherein the lack of protections to the acupuncturist and the lack of understanding, acceptance and utilization of acupuncture within the hospital setting ultimately leads to expensive and poor clinical outcomes. 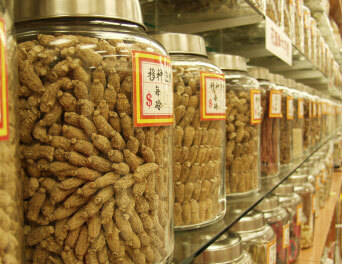 Chinese herbal medicine development is seeing an explosion of investment from corporations worldwide. Not surprisingly, companies like Nestlé and Coca-Cola have poured resources into developing healthy beverages and products using traditional Chinese herbal medicines. Already, Coca-Cola is growing their Asian market sales with an array of herbal beverages containing Bai He, Ji Gua Cao, Xia Ku Cao, Bai Mu Er, Xi Yang Shen, Hong Zao and more. 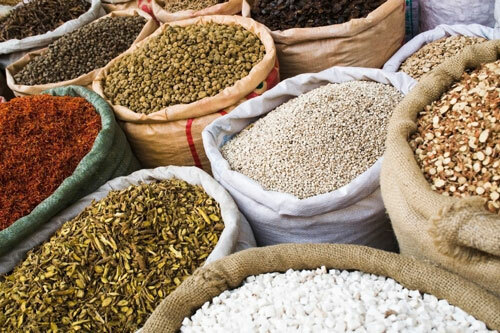 One downside to worldwide use of herbal medicines is scarcity and overharvesting issues. Zi Cao, for example, is included in conventional over-the-counter creams throughout Asia for the treatment of psoriasis. However, unregulated industrial practices have depleted Zi Cao beyond sustainability and the herb is now an endangered species. The upside to conventional use of Chinese herbal medicines is access to healthier choices for consumers in the food and beverage industry. In many ways, the challenges to the implementation of Chinese herbal medicine within the food supply are the same as those facing all foods. Sustainability rests in classic farming, harvesting and wild-picking practices. Additional concerns are the use of pesticides, preservatives and other forms of contamination. The Chinese Medicine (CM) dietetics continuing education series expands this year with four new live webinars. HealthCMi will offer these online courses for acupuncture continuing education credit for all licensed acupuncturists in the USA, Canada and Australia. Acupuncturists earn PDA points for NCCAOM recertification, CEUs for California Acupuncture Board credit, Texas CAEs, Florida acupuncturist CEs, CTCMA & CAAA continuing education credits and CEUs from several other certifying bodies for acupuncture continuing education credit including the AACMA. New to the list is California Board of Registered Nursing contact hours in addition to the preapproved acupuncture CEUs. The new Chinese Medicine dietetics courses present the healing properties of individual foods, entrées and combinations of herbs with foods. 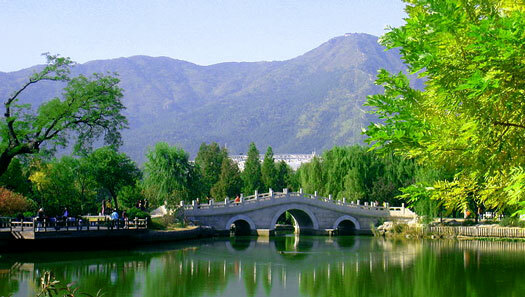 This complements the existing Chinese Medicine dietetics course that can be taken at any time. The anytime course can be downloaded and taken immediately and the webinars are taken a specific times and dates. The first live webinar in May will feature special dishes for the treatment of headaches and respiratory disorders. The second live webinar on June 30th will feature special dishes for the treatment of urogenital and metabolic disorders. The next acupuncture continuing education live webinar will be on July 20th and features special dishes for the treatment of cardiovascular and digestive disorders. The is followed up by another dietetics live webinar featuring dishes for the treatment of obstetric and gynecological concerns. Researchers now conclude that acupuncture helps in the recovery from total knee replacement surgery. This underscores the difficulty in pitting east versus west when conceptualizing appropriate treatment protocols. Somehow acupuncture is relegated to an unproven oriental model whereas biomedicine is relegated to a proven occidental model. Does this really make sense? 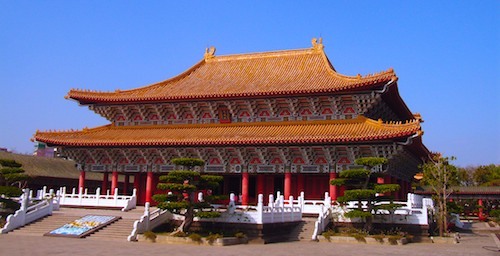 Some of the very first advances in medicine emerged in China. The great Hua Tou, who lived from 140 - 208 CE, invented several forms of surgery and was the first person in China to use anesthesia during surgery. The discovery of the Hua Tou Jia Jia acupuncture points are attributed to Hua Tou and he was also known for his herbal medicine, moxibustion and Daoyin exercises. Acupuncture and herbal medicine have long been used for the treatment of menopausal symptoms such as hot flashes, night sweats, irregular menstruation, dysmenorrhea, difficulty with sleep and mental restlessness. One of the most interesting phenomena is that the combination of acupuncture and herbal medicine has a multiplicative therapeutic effect. Each therapeutic modality is capable of treating these conditions but together they are significantly more effective. Acupuncture efficiently opens channel pathways and herbal medicine powerfully nourishes Yin and Yang. Acupuncture points LI11, HT7, P7, K3 and auricular acupoints uterus, liver and kidney combined with the herbal formula Tian Wang Bu Xin Dan complement each other for the resolution of many menopausal conditions. They are but one example of an effective combination and represent important tools to prevent Qi depletion and bone demineralization associated with menopause. Acupuncture has seen its undo share of naysayers. In the face of overwhelming clinical and laboratory studies showing the benefits of acupuncture, skeptics assert that existing research is inconclusive and more research is needed. This is reminiscent of politicians establishing a blue ribbon panel to study a problem to stall immediate action. People are suffering now and the benefits of acupuncture have been established. Major universities and government research centers have published reams of data showing that acupuncture is effective for the treatment of many disorders including lower back pain, asthma, migraines, knee pain and essential tremor disorders. Clinical studies from well respected US hospitals and medical centers worldwide have also published extensively on the benefits of acupuncture for the treatment of pain, numbness, dizziness, nausea and the side effects of chemotherapy. At the Healthcare Medicine Institute (HealthCMi), the news division reports on the latest acupuncture research on a continual basis. Many of the acupuncture continuing education online courses at HealthCMi feature methods to treat infertility. One of the major causes of infertility is pelvic inflammatory disease (PID). Our courses cover this topic extensively both in the live webinar series and the instant, anytime courses that can be downloaded to your computer at any time. In the USA, over 750,000 women experience an episode of PID annually and over 100,000 women become infertile as a result of PID. This disorder is often asymptomatic but a careful patient history during intake may reveal many clues. An acupuncturist may want to look for the signs and symptoms of salpingitis, fallopian tube inflammation. This form of PID is usually caused by an infection but may also be caused by Liver Qi stagnation transforming into internal heat. The latter diagnostic pattern is not recognised in the field of biomedicine and is therefore not a consideration when patients visit a conventional biomedicine clinic. As a result, many forms of PID may be misdiagnosed as other disorders such as irritable bowel syndrome, endometriosis and colitis. Ultimately, chronic PID may go undetected because it is often asymptomatic, insidious and high-paced clinics with ten minute appointments are unable to spend the time necessary to complete a proper intake. Laboratory blood work is often insufficient and, in many cases, only a specialist such as a gynecologist will be able to detect chronic PID. Ultrasonography may not detect this condition and it may only be detectable by laparoscopy in the biomedicine setting. Salpingitis may lead to fallopian tube blockages. This occurs when Damp Heat leads to Blood stasis. This is when the infection and inflammation leads to the formation of scar tissue. In addition, residual serious fluid and pus may cause pain during menstruation and bowel movements. This may also cause pain upon sitting and standing when the fluid moves downward between the uterus and the large intestine. The major indications for any form of PID are a combination of lower abdominal pain combined with leukorrhea. 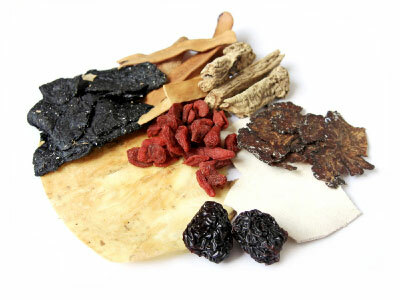 Patients experiencing the signs and symptoms of fallopian tube blockages may often resolve this condition by taking a modified version of the herbal formula Gui Zhi Fu Ling Wan. This is a combination of herbs to cool heat in the Blood, remove Blood stasis, circulate the Qi and to clear heat and toxins. An effective combination is: Gui Zhi, Fu Ling, Mu Dan Pi, Tao Ren, Chi Shao Yao, Huang Qi, Zao Jiao Ci, Xiang Fu, San Leng, E Zhu and Bai Jiang Cao. 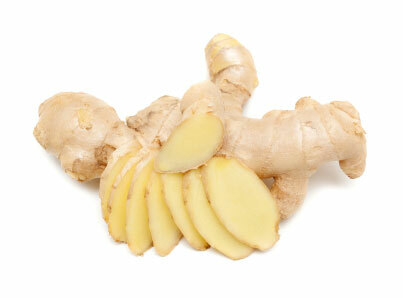 This combination is never administered to pregnant women due to its blood invigorating properties. The legal responsibilities of a licensed acupuncturist are very important to remember when trying to run a successful acupuncture practice. Certain basic guidelines can be followed to avoid unexpected bumps in the road. 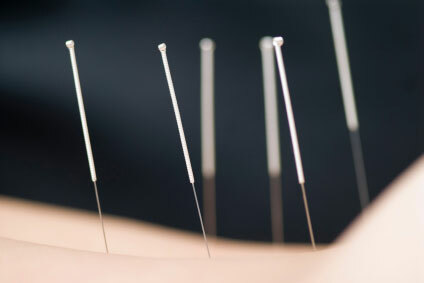 At HealthCMi, we offer acupuncture courses online that explore a greater understanding of the safety, ethics and legal responsibilities inherent in an acupuncture practice. Some of the acupuncture PDA (Professional Development Activity) and acupuncture CEU online courses detail the specifics of what is needed to maintain compliance with state and federal guidelines. In addition, the acupuncture continuing education courses present the basics of preventing unwanted legal issues. In the following sections, let’s take a quick look at some of the administrative issues facing an acupuncturist in private practice. It is important to understand that the legal relationship between an acupuncturist and patient is contractual and voluntary. The acupuncturist can determine whom he or she will enter into an agreement with to provide care. Once an agreement has been established, the acupuncturist also has a legal duty to act with the due care and skill of a responsible healthcare provider in similar circumstances. With respect to duty of care, all practitioners are subject to both criminal and civil law; however, few practitioners are charged with criminal intent. Most medical-related legal cases involve civil suits, and most of these claims are for trespassing or negligence. 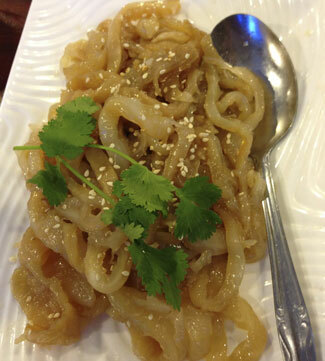 Chinese Medicine dietetics is the art of healing with foods. Like most acupuncturists, I focus primarily on providing my patients with quality acupuncture and herbal medicine care. 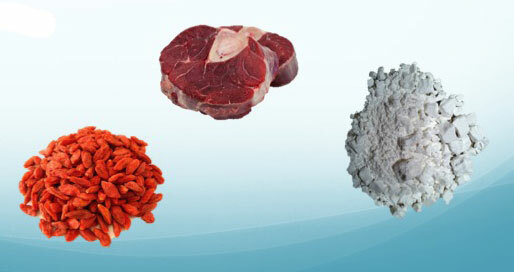 However, my patients have benefitted greatly by learning Chinese Medicine (CM) dietary modifications. Dietetics is helpful in many situations. Allergy sufferers with chronic nasal congestion do well to limit dairy and sugar intake. I let them know that dairy is not a bad thing, however, it is very lubricating. In some cases, dairy is helpful to patients with dry lung disorders, excessive weight loss and dry skin. Yet, patients already experiencing what is referred to as phlegm stagnation do well to avoid lubricating foods. Instead, these patients need to focus on foods that help to dry the phlegm and promote a better immune function. Foods that help in the transformation and transportation of turbid fluids from the system are appropriate. Perhaps one of the most effective home remedies is to suggest eating kumquats. These little fruits that look like small oranges have a full spectrum of bioflavonoid nutrients and help to quickly clear the nasal passages. Many of my patients have never seen a kumquat and wouldn’t know how to eat one. I carefully explain that it is the kumquat skin that is consumed and not the interior flesh. I let them know they can roll the kumquat around in their mouth, bite off a little of the skin, extract the interior flesh and then spit it out. Some prefer simply to peel off the skin and eat it. Either way, it is a great home remedy.